Our Ground Breaking ceremony was held on Friday, June 1 at Ruth Eckerd Hall. Speakers included Clearwater Mayor George Cretekos, Zev Buffman Ruth Eckerd Hall President & CEO and Jana Jones, Ruth Eckerd Hall Board Chair. The general public was invited to this celebration that marks the next phase of the Expanding the Experience renovation, which includes expanding the current 1,000 square-foot lobby to six times the size, a revised traffic pattern, the Katie Tiedemann and Ellen Cotton Cabaret Theatre, the England Family Welcome Pavilion, the Holt Family Cabaret Stage, the Raymond James Ticket office and much more. Clearwater Mayor George Cretekos speaks at the Ground Breaking ceremony. 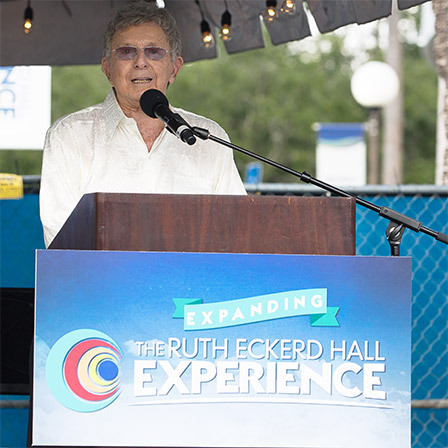 Ruth Eckerd Hall President & CEO Zev Buffman speaks at the Ground Breaking ceremony. 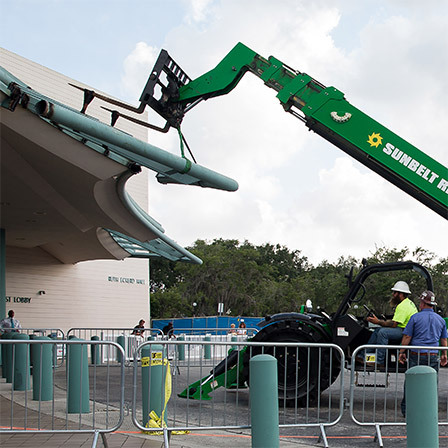 The first part of the façade on Ruth Eckerd Hall comes down. 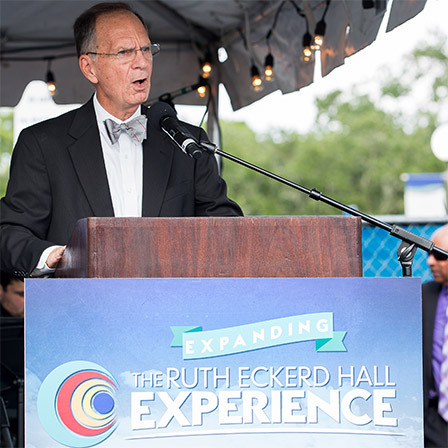 Learn more about Ruth Eckerd Hall's Expanding the Experience campaign.